Home»Blog»Family holiday still in this summer in Zauchensee! Family holiday still in this summer in Zauchensee! Active vacation in the mountains for the entire family! 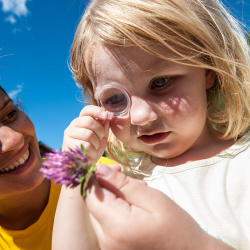 The imaginative family summer program in the Alps. At the family hotel Salzburger Hof there’s plenty to discover. Here at the Salzburger Hof high standards of comfort and culinary experiences for adults combine perfectly with fun and entertainment for your kids. Whether big or small, whatever your mood, you can take advantage of the wide range of sports and entertainment opportunities. Action for kids and the father, romantic and enjoyment for the mother – a lot of good summer mood for the whole family! In the 4 star Superior Hotel Salzburger Hof you enjoy your vacation in middle of the club-village and use the activities, events, rental of the sport equipment and a lot more with your Magic Mountains Card. Extensive and professional childcare for every age. 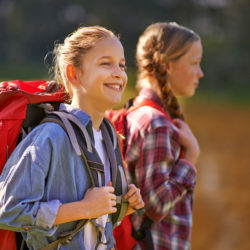 Guided hikes, mountain bike tours, Nordic walking tours, and much more, or simply relax and unwind while your children are well supervised and enjoy their very own program. 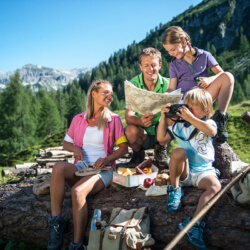 Surprise your family with a summer vacation in Zauchensee! 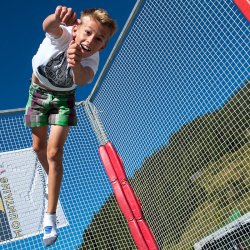 The club - village offers activities for everybody! Activities: Torchlight hikes, folk evening, nighttime sporting tournaments, hikes, aerobics, basketball, table tennis, badminton, family tennis, an Indian village, mountain bike tours, bike rental (also children’s bikes) upon availability, small, artificial turf soccer field, archery range, volleyball court, and much more. Right on the shore: pedal boats, surf boards Additional days are possible!